CORTLAND, N.Y. - Local care for a variety of brain and spine conditions is regularly provided by the neurosurgery program at the Cayuga Health System’s hospitals, and its clinical relationship with the UR Medicine in Rochester links patients to specialty neurosurgical treatment teams. Upper and lower spinal conditions such as stenosis, sciatica, and herniated disks are among the most common reasons patients come to Neurosurgery of Cayuga Medical Associates, explains Dr. James C. Metcalf, Jr., a board-certified neurosurgeon with more than 30 years of surgical experience. Often those conditions result in back and neck pain that can be relieved by surgery that is performed at Cayuga Medical Center. Other conditions including brain and spinal tumors, spinal fusions and fractures, and head injuries are also treated locally. Expanded office locations now allow for outpatient appointments in Ithaca, Cortland, and Montour Falls. In addition to seeing patients locally, Dr. Metcalf is also an assistant professor of neurosurgery at the University of Rochester Medical Center. 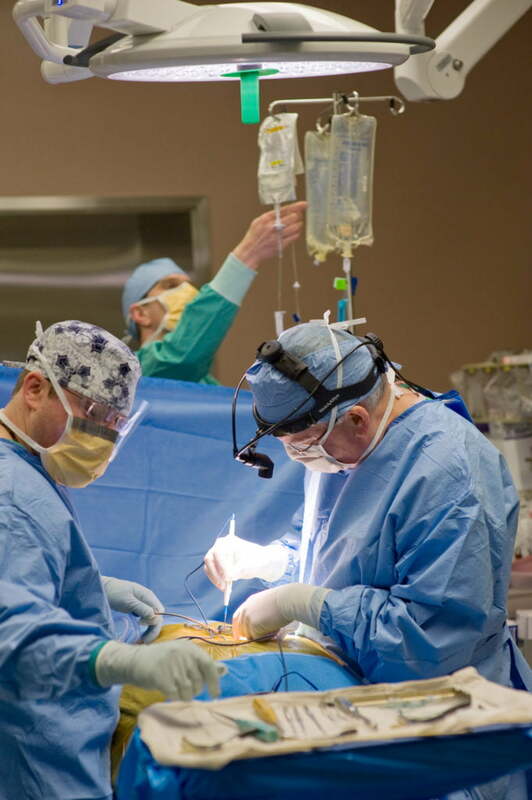 His association with UR Medicine, the university’s health delivery network, provides a higher level of clinical support, an important connection for patients in the Ithaca area who need advanced neurosurgical care. “When a patient has an unusual condition that requires highly specialized care, I know exactly which surgeon to call at UR Medicine,” Dr. Metcalf explains. Digital links between the two medical centers allow patient information, test results, and imaging to be uploaded from Cayuga Medical Center to Rochester in minutes. A specialist’s evaluation is frequently ready in a few hours so treatment plans can be reviewed by the local neurosurgeon and patient. If treatment is done in Rochester, the patient’s follow-up care is often done locally and involves Dr. Metcalf, the UR Medicine surgeons, and the patient’s primary care physician. At the University of Rochester Medical Center, neuroscience is the single largest research area with over $7.9 million in annual funding, ranking it fifth in the nation. UR Medicine’s neurosurgery program includes 12 specialties, and it has connections with clinics and hospitals in 13 counties in central New York and the Southern Tier. URMC’s neurology and neurosurgery specialty is the only one in upstate New York listed in US News and World Report in 2016 and for the five previous consecutive years—notably, it received “best” marks in patient services and advanced technologies, two important factors in its high success rate.